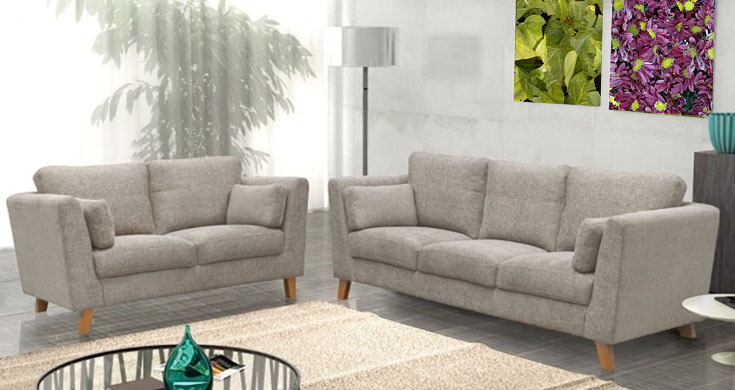 This delightful set is known as the Aayra, which is available in beige and grey. It includes a set of a 3 seater sofa and 2 seater sofa. It’s style is contemporary, and is made from luxurious fabric. It offers comfort for you and your home, it also arrives with traditional wooden legs which sets off your living room, or conservatory. All our sofas are manufactured within the EU (mainly UK), thus adhering to rules and passes all selling regulations. They come with 1 years manufacturing warranty, to ensure the extra level of customer satisfaction and to get the most out of your purchase.